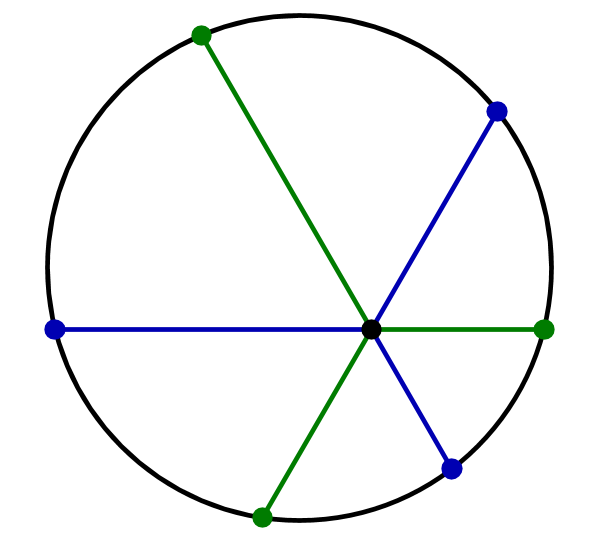 I found the following problem on my Google+ account: In the image below, the total length of the blue line segments is equal to the total length of the green line segments. The segments form an angle of 60° among each other. After a while of thinking, I found a nice proof of this phenomenon. It is probably the standard proof, and it also yields a lot of generalizations. This generalizes to finitely many vectors which sum up to 0. 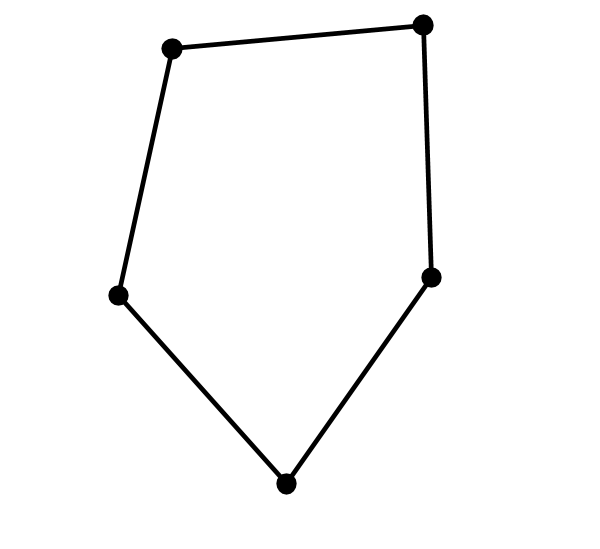 E.g., we can take the sides of the following pentagram as vectors. The corresponding result can be seen in the next figure. 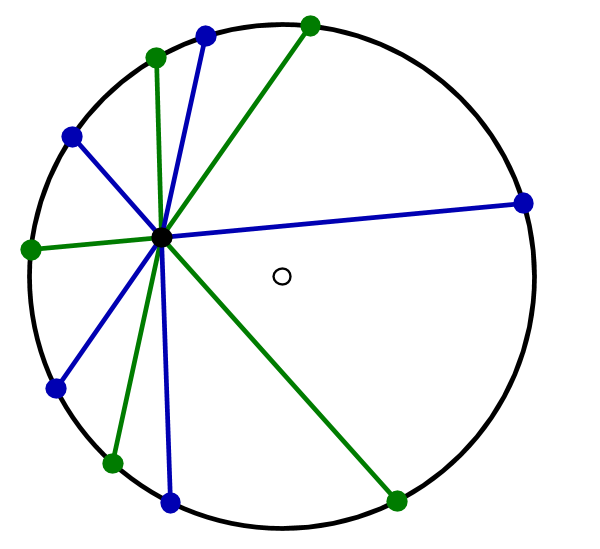 Of course, a special case is 10 line segments with equal angle 36° between them.